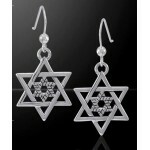 These Star of David within a Star of David Jewish symbol earrings are hand made in sterling silver. The Star of David is a 6 pointed figure consisting of 2 interlaced equilateral triangles, one pointing up, one pointing down. 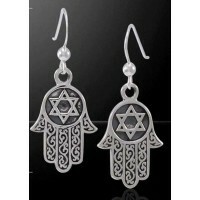 While it is widely used as a Jewish and Israeli symbol, it also represents the mystical axiom "As Above, So Below". 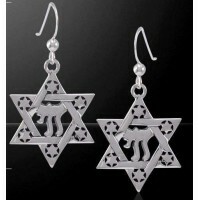 It is also known as the Magen David or Shield of David. 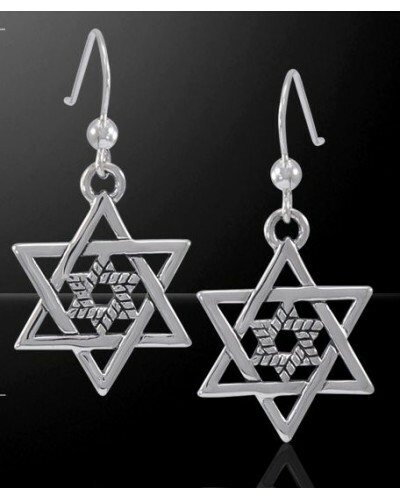 You can read more about the history of the Star of David at the Jewish Virtual Library. 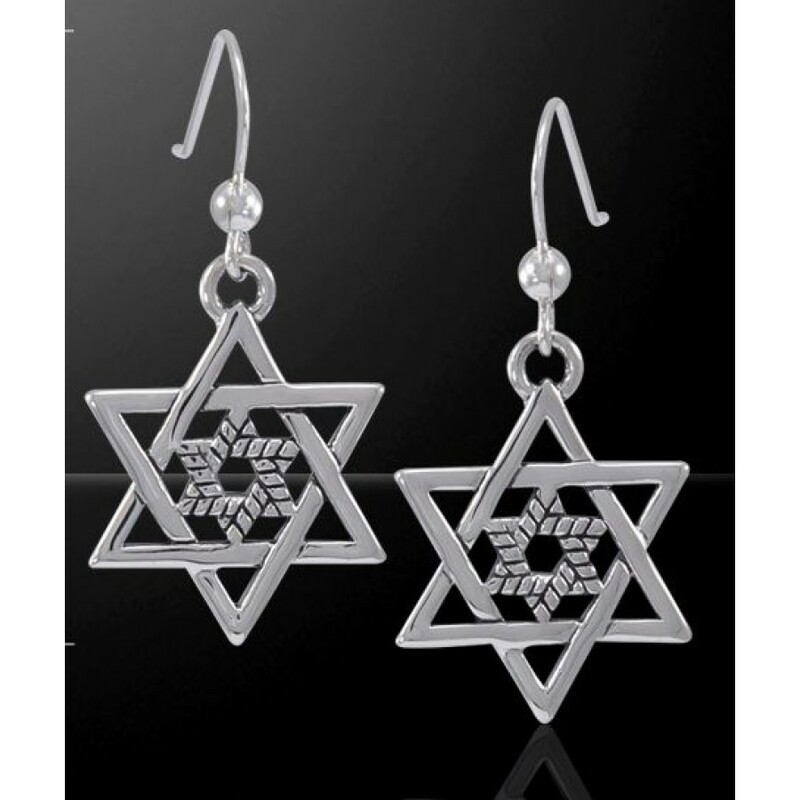 These gorgeous sterling silver earrings feature the Star of David with a second Star of David within its center. They measure 1 3/8 inches high overall with attached sterling ear wires. Item Number: PS-TER1558 | Approximate Size (Inches): 0.50 wide x 0.01 deep x 1.38 high | Approximate Shipping Weight: 0.25 lbs.